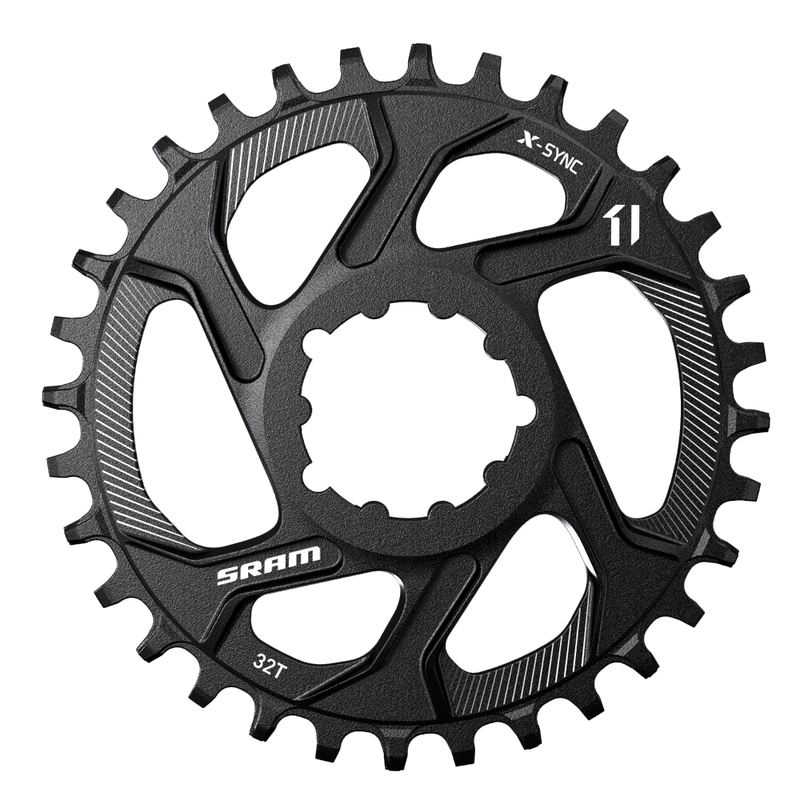 SRAM has announced the release of direct-mount, spiderless chainrings. 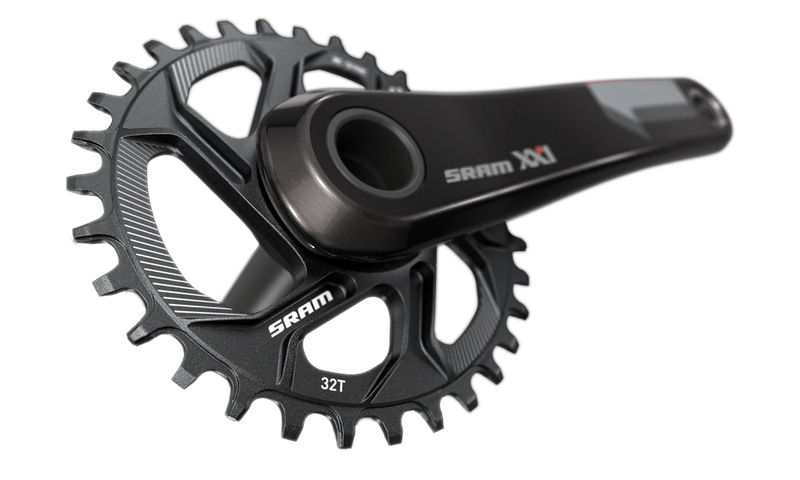 While their current model X9, X0, X1, X01, and XX1 cranks have been capable of accepting direct-mount rings since their inception (dating back to 2010 for X9 and X0), SRAM has been relatively slow to produce the accompanying rings. Smaller companies like North Shore Billet and Wolf Tooth have stepped in during the interim and produced SRAM-compatible direct mount rings. SRAM's choice to market the direct mount design comes after the success of Raceface's Cinch interface and e*thirteen’s similar, yet proprietary design. – Weights: GXP – 61g (26T), 66g (28T), 68g (30T), 71g (32T), 76g (34T), 91g (36T), 101g (38T), 119g (40T). – BB30 – 52g (26T), 58g (28T), 61g (30T), 66g (32T), 71g (34T), 82g (36T), 94g (38T), 106g (40T). – Available December: 30, 32, 34 tooth. – Available April: 26, 28, 36, 38, 40 tooth. Especially notable here is the addition of 26 and 40-tooth rings — the range for the original spider-mounted rings is 28-38.